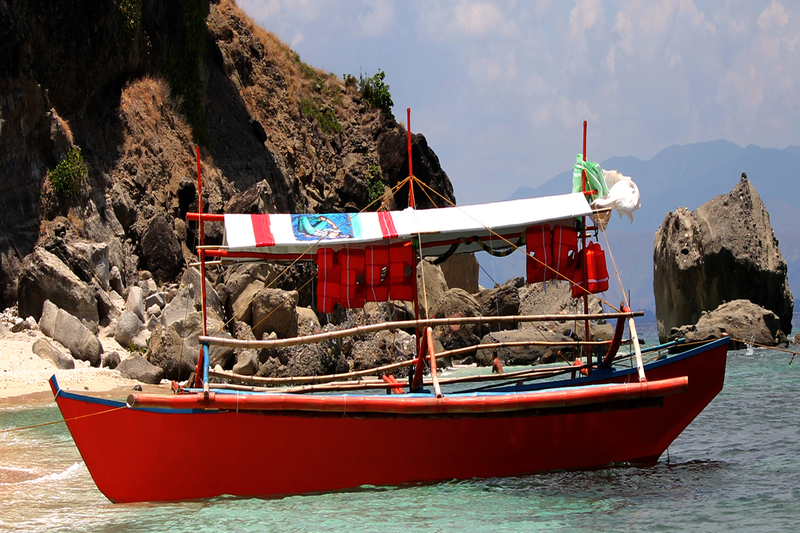 When you visit the Philippines, and go to any beach area, you are most likely to see a banca boat. The banca boats come in all sizes and colors. During my traveling adventures, I have taken several banca boats in Subic Bay, Capones, One Hundred Islands, Puerto Galera in Mindoro and Boracay. Jump on one and go from one island to another. Take one for a snorkeling trip. Or just take one to an isolated beach to be with you family, friends or maybe your sweetheart. On a small banca you can go to some of the smallest beaches, and have a wonderful picnic. This entry was posted in Photo of the Week and tagged Banca Boat, beach, Philippines, transportation, Travel. Bookmark the permalink.